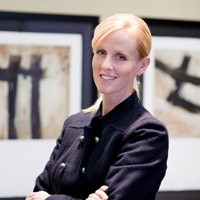 Stephanie Wilkins Pugsley is an experienced litigator, negotiator, and mediator. As associate in-house corporate counsel for TPUSA, Inc. (dba Teleperformance) she negotiates hundreds of multi-million dollar commercial contracts each year, both in the US and internationally. Her background as a litigator, with specific expertise in ediscovery and information governance, lend to her ability to work through the complicated issues currently facing companies today. She is well versed in the issues related to data breaches, electronic discovery, confidentiality, shifting costs, licensing issues and protecting intellectual property. She worked as a litigation consultant for Orange Legal Technologies, and a litigator at Kirton McConkie and Jones, Waldo, Holbrook & McDonough where she was responsible for litigating large complex commercial disputes. She was also previously responsible for consulting with corporate legal departments and outside counsel to develop strategies and policies for archiving, collection, review and storage of electronically stored corporate documents and emails. Stephanie clerked for the Hon. Dale A. Kimball, U.S. Dist. Court for the District of Utah. She received her mediation training at the Strauss Institute for Dispute Resolution, Pepperdine University School of Law, and Utah Dispute Resolution. She has been trained to mediate both commercial and domestic disputes. She has lectured and written on electronic discovery and information governance. Education J.D., S.J. Quinney College of Law, University of Utah, (Law Review, Articles Editor); B.S. (Political Science) University of Utah.